While training in the boxing gym with her brother Jermaine (Da’Sean Minor), tomboy Toni (Royalty Hightower) becomes interested in the dance troupe that practices in the room next door. When Toni decides to join the troupe, she not only struggles to fit in with the other girls but finds herself in danger as the each of the group starts to suffer from violent fits and fainting spells. 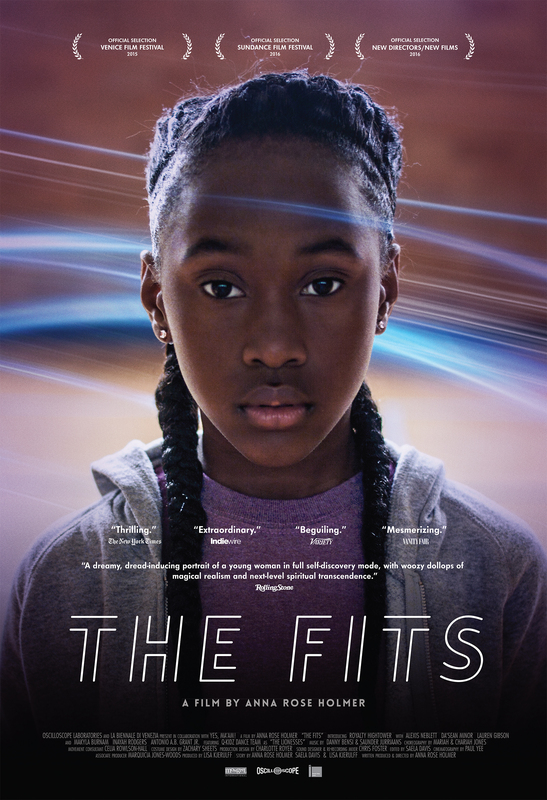 The Fits is an atmospheric and intriguing film about a young girl growing up and the balance between trying to fit in and being yourself. Toni is athletic and strong, but it’s in such a different way to the girls in the troupe that she finds it hard to be a part of it to begin with. The film does a good job of showing how isolated Toni feels with the way the camera frames her and the music, or lack thereof. As Toni comes into herself and starts to get the dance routines you can see the joy shine through on her face. The fits that the girls in the dance troupe almost begin to seem like a right of passage, as those who have had them discuss what it felt like, and those who haven’t wish to have them so they know what it’s like and can fit in. Toni’s budding friendship with Beezy (Alexis Neblett) is charming and the way they play together in the gym after dark feels incredibly real. that’s one of the good things about this film, all the characters and performances feel so organic you want these young girls to succeed. The Fits is a slow film with a good lead performance but it’s a good job it has such a short runtime as I found myself getting more bored than interested as the film progressed. It’s a strange film that’s hard to describe, something it shares with many other small-budget indie films. 2/5.